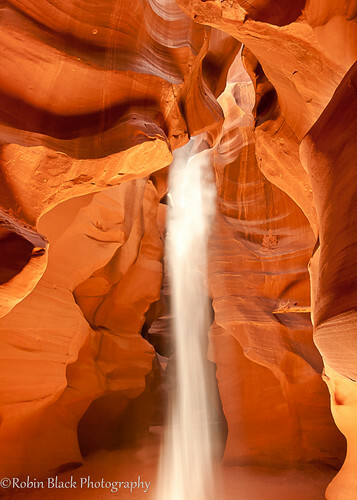 Bending Light (Upper Antelope Canyon), a photo by Robin Black Photography on Flickr. I've finally made the time to dredge through my old image files, and found a few from my very first slot canyon trip. This one caught my eye because of the shape of the light beam, which appears to be curving and twisting like the sandstone walls all around it.